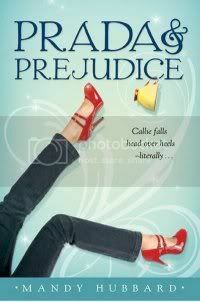 The Austen Inspired First Line Contest! There is perhaps no more famous line than this one, from Jane Austen’s PRIDE & PREJUDICE. It has become a part of pop culture, used again and again in various forms. So, in honor of the similarities between the first lines in our book—and also just to amuse ourselves—I’ve joined forces with Darcy and Charity for a one of a kind contest! The more humorous and amusing, the better! One Entry for completing the sentence and commenting here. 1 Extra entry if you blog about this contest using the supplied HTML code below. For the extra entry, please leave a separate comment with the link and an additional Austen-inspired sentence. WIth two entries, you'll double your chancces that we totally love your line! Contest open until July 31st at Noon Pacific Standard Time. 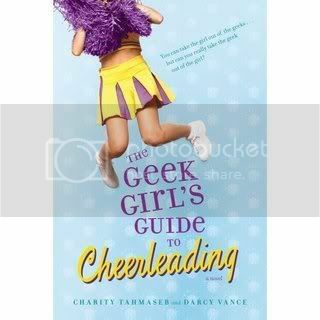 An autographed copy of PRADA & PREJUDICE goes to the first line of my choice, and an autographed copy of THE GEEK GIRL’S GUIDE TO CHEERLEADING goes to the best line as picked by Darcy & Charity.